Judge Jeanine Pirro has NOT been silenced. In her latest video commentary, she exposes the DEEP STATE criminals who have been hell-bent on taking our country down into the murky depths of their despicable SWAMP. To those of you who still harbor media-induced hatred for President Trump, I must ask: What are you fighting for? Do you not realize that Trump has sacrificed EVERYTHING—his family, his fortune, his reputation, his LIFE—to protect this country from the most savage criminals in history?!?!? Liberal Democrats who wanted to install Hillary Clinton as POTUS in 2016 must realize by now that our country was heading down a sinister path… with pure evil at the helm. Misled through mainstream TV narratives that depict our President as bigoted, stupid and untrustworthy, Americans have been subjected to three years of outright lies—and the Mueller Report bears that out! The Russian Collusion Hoax has been exposed as such, but those who have been pushing this false narrative are still doubling down. Doesn’t this remind you of the 2016 election? The mainstream media liars swore up and down that Trump had no chance. They said this because they knew that the election was rigged—in Clinton’s favor. In fact, they were very much part of the plan to trick Americans into electing a truly corrupt team—lead by a certifiably “nasty” woman—into the White House. And what a plan it was! For instance, we saw media personalities like CNN political commentator Donna Brazile feeding debate questions to Clinton. To this day, Brazile remains unaccountable for her collusion with Clinton! 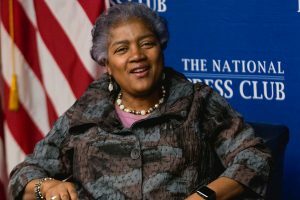 In addition to her position at CNN, Brazile was the interim chair of the Democratic National Committee (DNC) at the time. She was subsequently fired from CNN on October 31, 2016, after e-mail leaks proved that she had improperly supplied Hillary Clinton’s campaign with advance knowledge of questions to be posed to her during Democratic campaign events hosted by CNN. In a shocking twist of fate, Brazile most recently accepted a job as a political commentator for Fox News. She was hired just as Judge Jeanine was suspended—for telling the truth about anti-Semitic congresswoman Ilhan Omar. In the Fox News broadcast that got her suspended from the network, Judge Jeanine pointed out that Rep Ilhan Omar appears to be a radicalized Muslim, now playing for TEAM ISIS in the U.S Government. A former refugee, Omar shows no sign of having assimilated into American Society. Quite the opposite: she seems to be much more interested in fueling anti-Semitism and overthrowing the American Government by impeaching President Trump. Now, let’s talk about Russian collusion. This particular lie about President Trump and his campaign was initiated by the Clinton campaign. And now that we know it was a lie (thanks to The Mueller Report), we must consider the SOURCE of this lie: the fabricated Steele Dossier. This bogus story was bought and paid for by none other than the Clinton campaign! Just the fact that the fully-fabricated dossier had Trump in Russia—doing disgusting things in a hotel room—proves that it was really the Clintons who were in the proverbial Russian bed. There’s an entire list of instances where Clinton and her associates actually did “collude with Russia”. This includes the fact that her husband and former POTUS “received $500,000 for a Moscow speech from a Russian investment bank with links to the Kremlin that was promoting Uranium One stock,” The New York Times reported in 2015. President Trump did nothing wrong and only sought to work with Russian President Vladimir Putin—as a fellow country leader. The past three years of this “witch-hunt”, as Trump often calls it, has greatly damaged our country and the reputation. It has also negatively affected the livelihoods of everyone who was swept up in the scandal. 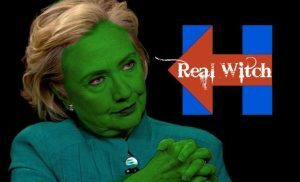 The real “witch” we should be hunting. Americans need to know the truth about the Obama administration! 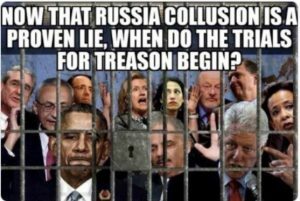 According to Judge Jeanine and others, the only way to put this egregious lie behind us is to go after the REAL CRIMINALS who did everything in their power to deceive America and oust the one man who isn’t trying to run this country into The Swamp. 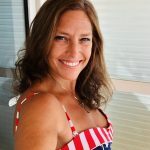 Jill Cueni-Cohen is an international freelance journalist, editor, ghost writer, speaker, and the author of Like It Was Yesterday - A Journalist's Files Since 9/11.